16For God so didn’t love the world, that he didn’t give his only begotten Son, that whosoever was not predestined unto belief and elected salvation by a hidden and unknowable absolute decree should perish, and be reprobated unto everlasting damnation. 17For God sent his Son into the world to condemn the non-Elect of the world; but also that the Preordained Elect of the world through another hidden and unknowable absolute decree shall be regenerated unto their already pre-chosen salvation. 18He that was Predestined and Elected to believeth on him is not condemned: but he that was predestined to believeth not is reprobated and condemned already, because he hath been appointed to not believe in the name of the only begotten Son of God. 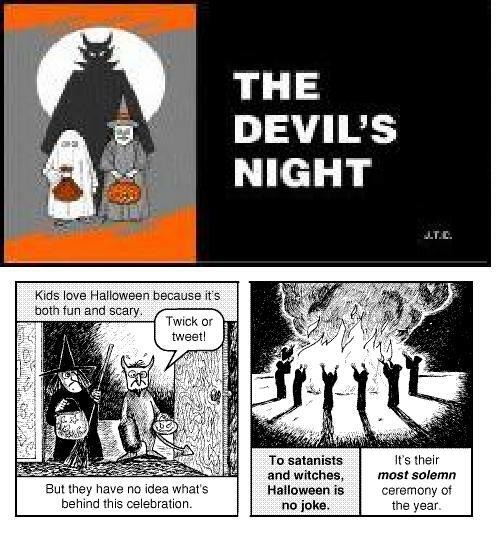 19And this is the condemnation, that light is come into the world, and men loved darkness rather than light, because their deeds were evil except for Elect Truth Warriors. 20For every one that doeth evil hateth the light, neither cometh to the light, lest his deeds should be reproved except for Elect Truth Warriors. 21But he that doeth truth cometh to the light, that his deeds may be made manifest, that they are wrought in taking a self-righteous stand in God‘s Absolute Sovereign Wrath. Isn’t our Pure Gospel great—I just reel in all it’s wonderful beauty so much so that I always get thrilled and chills down my spine whenever I hear it proclaimed—why it offers nothing but hope and good news in every verse! Anything other than this is Pelagianism/Semi-Pelagian (aka Roman Arminianism) at the least or even worse Universalism. 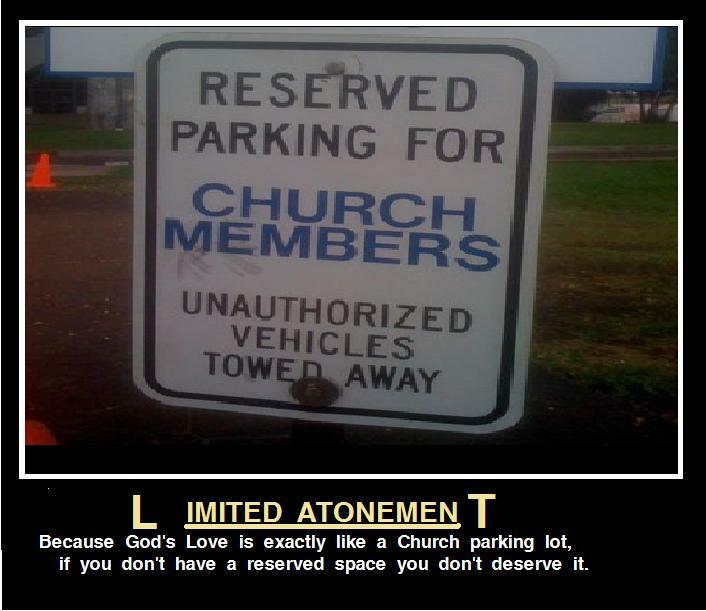 How dare anyone say that God loves everyone or believe that His Atonement is universal as that is unbiblical! For God has no obligation to love anyone–none whatsoever period. We are morally outraged by those who would dare slander our Pure Truth Gospel Doctrines like that. 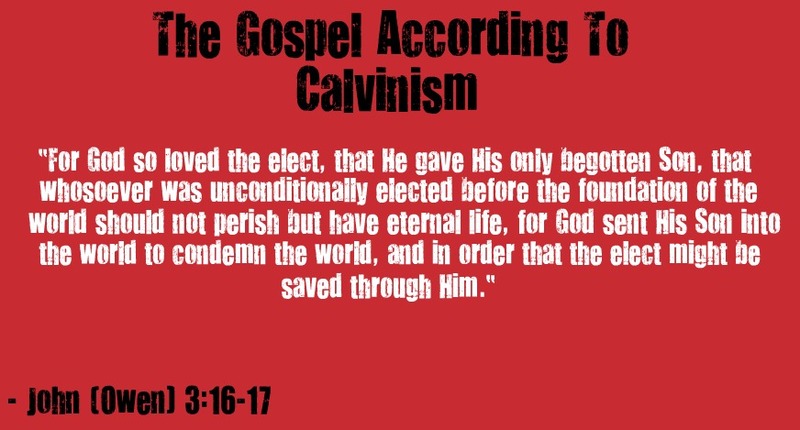 We Know for a fact that John Calvin nor Martin Luther would never believe in such horribly blasphemous and ungodly false and grace-denying doctrines. This is why when we say that God hates all you unregenerate reprobated apostates we mean it in the most Absolutely Biblical sense/way.